Allan Schwartzbergplayed the drums on all thetracks on roxy Music's Fdlesh + Blood. Allan has alos played with such diverse artists as Stan Getz, Peter Gabriel, Barry manilow, Thorne, Alice Cooper, John Lennon, Mountain and James Brown. 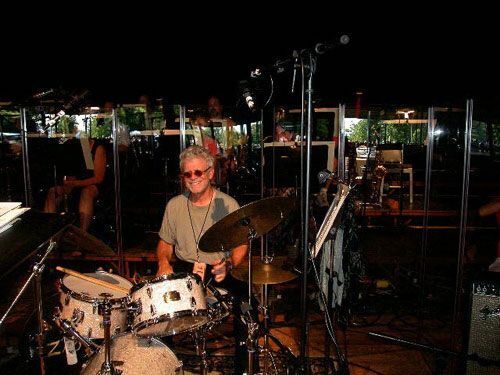 He's also one of the original disco drummers, playing on such dance classics as Gloria Gaynor's Never Can Say Goodbye, Tony Camillo's Bazuka's Dynomite, and Meco's Theme From Star Wars. And the rampant sampling of James Brown's Funky President has made Allan's beat the sound of '90s hip-hop.